Goodness me. 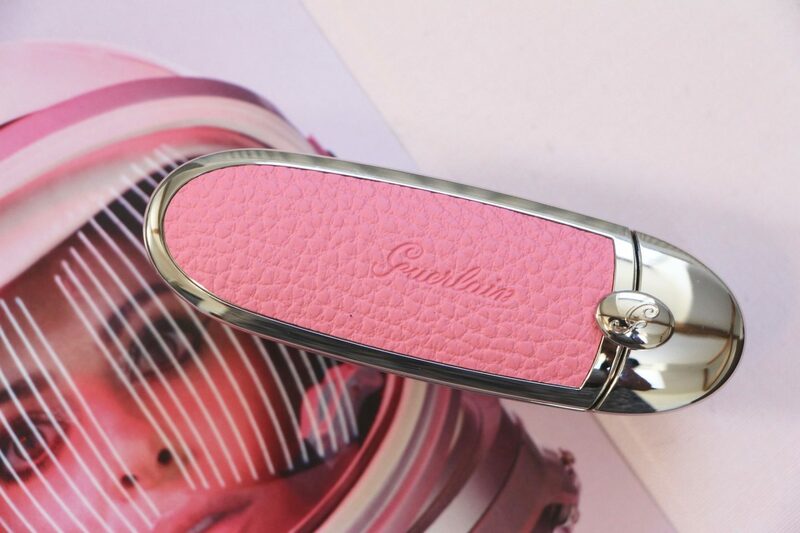 Can we just take a moment to appreciate the effort that’s gone into designing these Guerlain Rouge G lipstick cases? 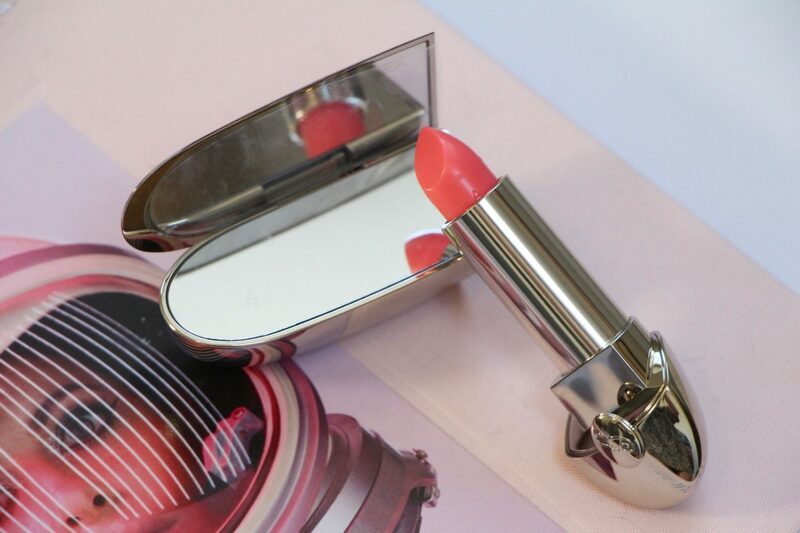 Rouge G has always been a favourite of mine, with the slide-out lip colour and pop-up mirror. It weighs about the same as a four-oven AGA, which means that you can’t take it with you if you fly EasyJet (it only leaves enough carry-on weight allowance for one pair of trainer socks and a silk headscarf, an outfit that would get you banned from just about every bar, beach and restaurant in the world) but for daily handbag adornment it’s just fabulous. I have a few older versions of the Guerlain Rouge G, but it’s had a complete makeover and the changes to the packaging are actually rather brilliant. 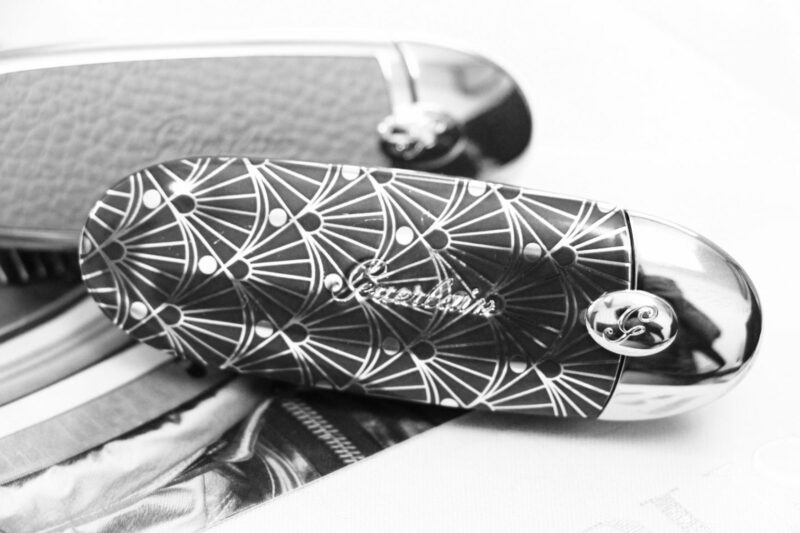 I didn’t think that a heavy, mirror-laden case containing a beautiful, smoothing lipstick could be improved upon but there you go – life is full of surprises. 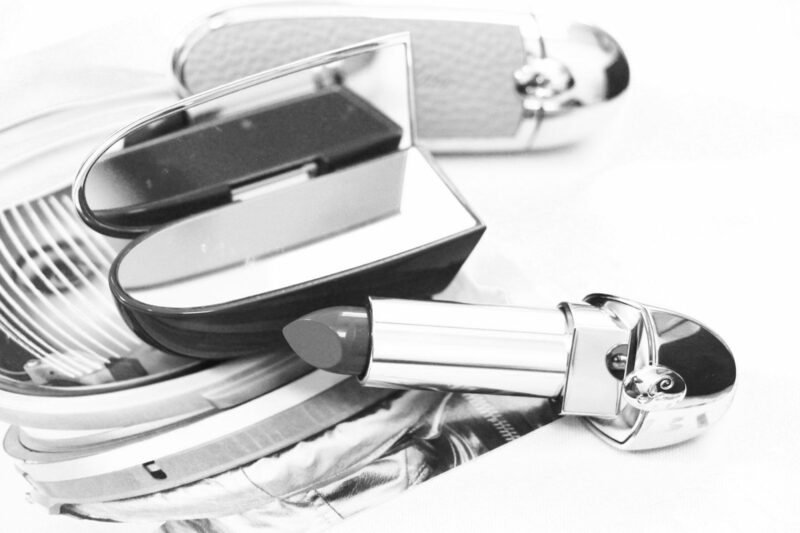 The new Rouge G has not one but two mirrors in the lid – slide the lipstick out and HOOPLA! One mirror to see your lips in, the other to see, er, the ceiling with. 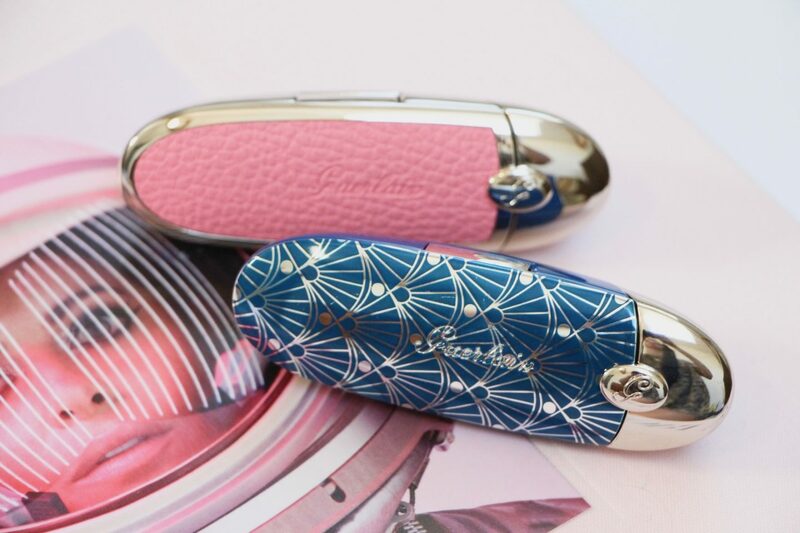 But the best change to the Rouge G de Guerlain is that the case and the lipstick are now separate entities, which means that you can refill your heavyweight, mirrored, (possibly) bulletproof case once your lipstick has run out. Take note, luxury brands: if you are making an item with casing that weighs the same as small planet, whether it’s a compact or a lipstick or a body cream, make it refillable. Make it something we can use until we’re seventy and then pass down to someone else – make it feel precious, like treasure, and make it so that it lasts. I mean, make everything refillable, if you can – even the most basic and budget of makeup items – but at the very least start with the things that make an audible, sickening clank when you have finished with them and have to throw them in the bin. Anyway, excellent upgrade Guerlain. I salute you. 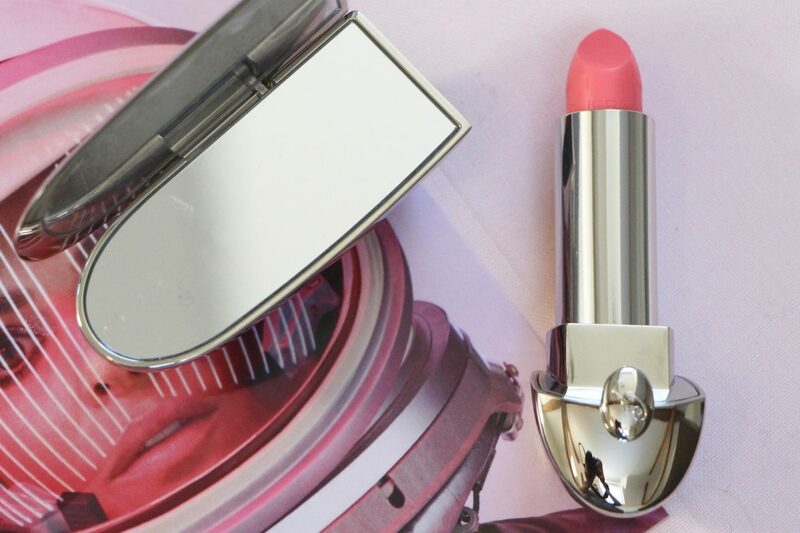 Not only have you made your iconic lipstick refillable, you have made me want to refill it. Your range of mix-and-match cases are just beyond enticing; everything from chic black croc-effect to hi-shine neon pink, you’ve got all tastes and scenarios covered. Especially for gift-buying. Because now there’s a tasty little option for enthusiastic beauty gifters: pick out your recipient’s favourite lipstick shade and then spend a glorious few minutes wondering whether it would look best presented in a classy Parure Gold case or the boho-inspired Very Batik. Going for a fuchsia lip? You could colour-clash the case with the hot pink Neon-ista or go a bit Liberty print with the floral-patterned Gypsy Folk. It’s just such a great idea. A present that’s heavy in the hand, lovely to look at and hides an amazing lipstick inside. What’s not to like? And it’s not as heart-stoppingly pricey as I initially feared, either: the cases, which come individually boxed, are £14.50 (£11.25 at Escentual.com here*). The lipstick refills (so, so many shades and all glorious in texture and finish) are £24.50 (or £22.05 here*; not sure why Escentual is always cheaper but they are an official stockist, so, hurrah for that). The initial outlay isn’t cheap, but the case is the gift that keeps on giving and twenty-ish quid isn’t outrageous for a luxury lipstick. Which this is. Although it’s more than a lipstick, isn’t it? It’s makeup treasure. As I said, I love the idea that makeup items could become heirlooms. Pass them down, keep on using them, enjoy them as a wonderful piece of design, an accessory. Wouldn’t that be nice in this disposable world? Maybe I’m being overly sentimental, but at the very least you can use the case for life. More makeup like this, please, beauty industry!